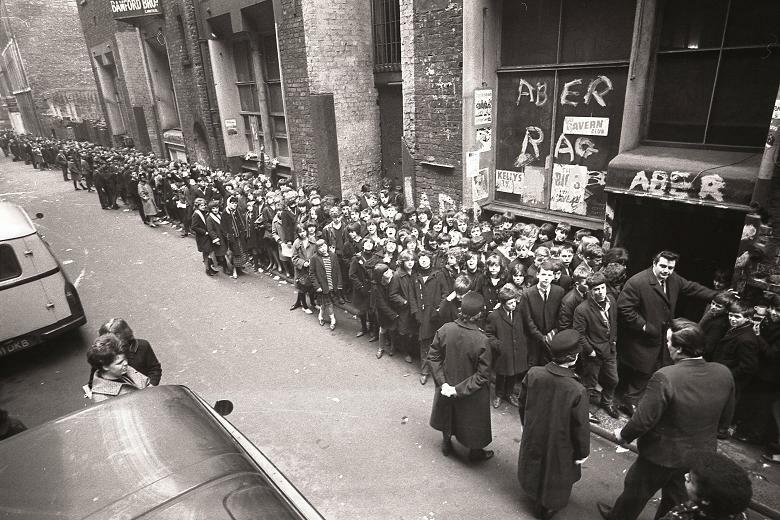 The Cavern Club opened its doors as a jazz club on 16th January 1957, owned by Alan Sytner. The doorway was originally where we now have our Cilla Black statue, which is The Cavern Club’s fire exit. 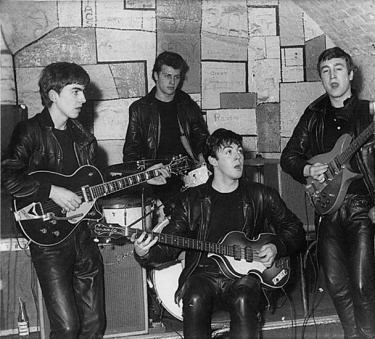 On 3rd October 1959, new owner Ray McFall acquired the Cavern Club and encouraged skiffle music and started the legendary lunchtime sessions. The Beatles played the club 292 times. When they left in 1963, the club couldn’t really replace them and business dropped so much that Ray went bankrupt in February 1966. The Cavern closed its doors before re-opening in July five months later. The Cavern Club was re-opened by Joe Davey and Alf Geohegan, local businessmen who bought the lease and the name ‘The Cavern Club.’ They enlarged the footprint of The Cavern, opened a souvenir shop and a café with the new entrance exactly where it is today. When the club reopened it was done so by the nations Prime Minister, Harold Wilson, such was the perceived importance of the club. In 1971 the club changed hands again and this time the new owner was Roy Adams. Roy was alarmed to find out that British Rail were about to complete a compulsory purchase order to build a ventilation shaft for the City’s underground railway. Roy always maintained that he knew nothing prior to purchase about this compulsory purchase. Previous owners the Geohegan’s maintain that he did. Despite British rail offering to build the ventilation shaft elsewhere for a contribution of £500 to cover costs, Roy Adams decided to close the club in May 1973 and relocate. He re-opened the club on the opposite side of the road. It was much bigger but didn’t work. It later changed its name to Revolution, which also didn’t work and was closed by 1976. It was then that local entrepreneurs Pete Fulwell and Roger Eagle asked to rent the space and it was rebranded as Erics, it was hugely successful as a punk venue until it closed in 1980. Cavern Enterprises had continued to operate but just as a business renting space to Eric’s. The original Cavern sign that had moved over the road in 1973 remained over Eric’s until 1995 even though the Cavern had never operated there after 1976, which has led to a lot of confusion over the years. In 1980 the murder of John Lennon marked the beginning of mass tourism into Liverpool to see the home of The Beatles. Local architect David Backhouse had been working on a plan to re-open the Cavern on its original site. The buildings above ground had been demolished but you do not knock down an underground basement…. you fill it in! So In 1982 The Cavern was finally excavated but the walls were too fragile and The Cavern was then carefully dismantled. Thousands of bricks were saved and used in the rebuilding of The Cavern Club on 70% of its original site. It finally re opened in 1984 with the entrance on exactly the same spot that was used in 1966. The fire exit today is in the exact same location as the 1957 entrance. Today the club boasts a larger additional stage, as well as a faithful reproduction of the original stage; it occupies 70% of its original site and the original stage is 20 feet away from the stage that Paul McCartney played on in 1999, 2003 and more recently in July 2018. 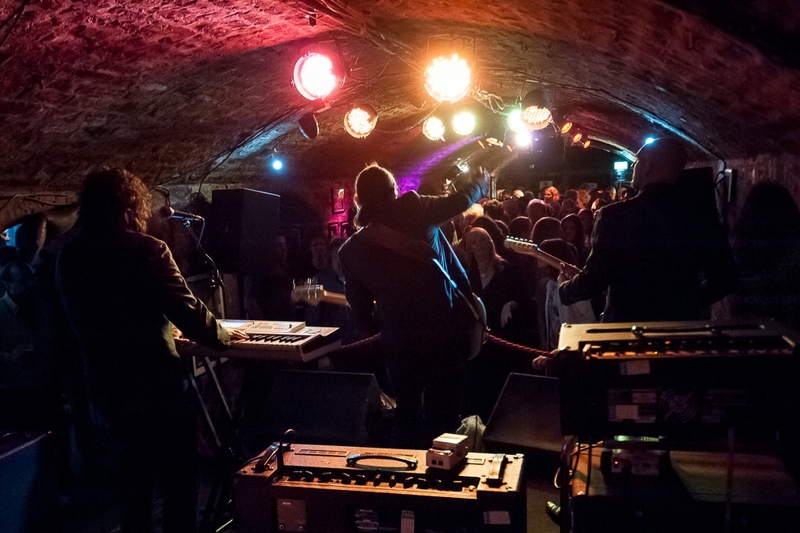 The Cavern remains an authentic real place which has harnessed the evocative power of popular music and provides a cultural image of Britain to the world. It remains one of our greatest living historic landmarks. Its repute has been continuously endorsed by leading musicians, Film and TV, record companies, radio stations, journalists and authors along with legions of fans from all over the world who continue to be captivated by the intimate and powerful ambiance that the club exudes. A common myth has been the Liverpool City Council forced the Cavern Club to close, this simply wasn’t the case. London Bridge, The Whitehouse, Statue of Liberty, St Pauls Cathedral, The Parthenon, Westminster Abbey and The Palace of Westminster and some more iconic buildings have been rebuilt and renovated over the years. Cavern City Tours never have (and never will) claim it is the original, but we can accurately say that this is The Cavern, occupying 70% of the original site. If you want to find out more about the full 61 year history of The Worlds Most Famous Club, you can find out more in our fully researched book with the foreword by Sir Paul McCartney himself. Click here to find out more.